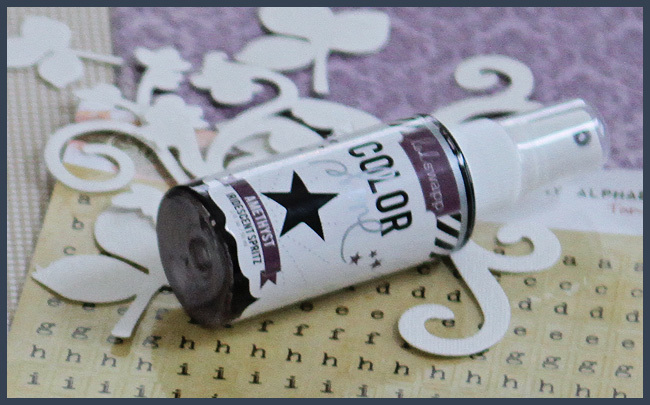 Erin Blegen: My Scrap Cabin: C'est Magnifique February Kit Reveal~! Hey hey everyone! It's that time again...kit reveal day at C'est Magnifique Kits~!! We've got another great one for you and I'm sure you're just going to love it! Of course I've got plenty of examples for you, one of which you already saw this past week. I showed you how to take this feminine kit and use it in a masculine way. Today I'm going to show you how to work the feminine side ;)~! This is my daughter at ten months of age, last summer at the lake. She truly is a doll! I thought the gorgeous Blue Fern Studios dress form was perfect for this layout. To alter it I first primed it with gesso, then took a mask and used the purple Color Shine mist with it. Then I added various gold and purple microbeads. I fussy cut quite a few of the small purple flowers from one of the papers and added them in with my flower clusters to add some bulk. 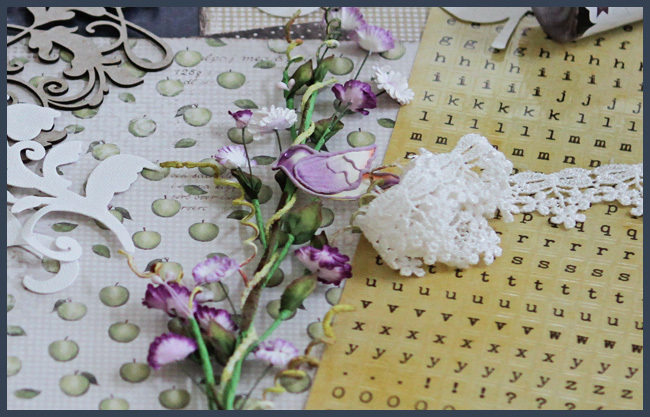 I also snipped off the small flowers from the vine in the main kit and scattered them throughout my clusters. Finally, I tore apart one of the wire hearts and created two floral sprigs from it, placing them in with the flowers as well. SO- you've already seen the add-ons for this kit- how about a look at the main kit itself?? Our February Kit, "Royal Tea Party"
If you've been itching to get your hands on some Blue Fern Studios chippies~ you will find one of our most popular pieces in this kit- the Blue Fern Frame! 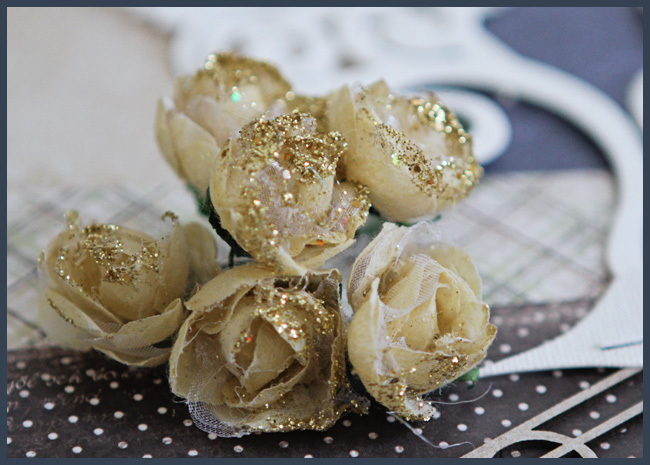 And for you Manor House Creations lovers out there- you'll be happy to find that we've got some of the precious "Glitter Mini Roses- Caramel" flowers in this kit! LOVE them~!! If you want to get your hands on this kit, visit the February Kit section of the store HERE, where you will find individual items from the add-ons as well, should you want some :). And to make sure you never miss out on a future kit- see the FAQs HERE on how to join! 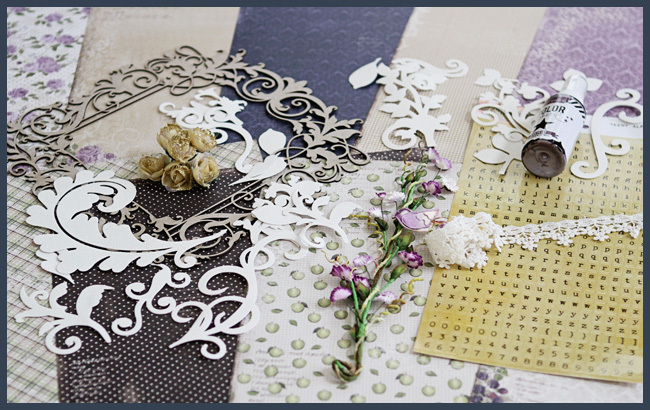 Thanks so much for stopping by- and check back later for more projects using this beautiful kit. Take care and have a great weekend~! love yours! and your girl:_ really a doll! Wow, absolutely amazing lay-out! I really love your colour combination and the pretty, elegant embellishments. Beautiful!Love those cluster of flowers & borders. Gotta love the purple & gold too. LOL. Der er ikke mange der kan sætte et LO sammen som dig, det er bare så smukt. knus morkaren. I always am in awe at your creations! You certainly have created many treasures for those lucky to receive them. Thanks for sharing your work with us! what a cute photo of Aspen, yes she is a little doll! love these soft colors, they all go so well together yet there is contrast so that they stand out, gorgeous as always! I love how you did this layout. The flowers are all gorgeous, the dress form is wonderful and the colors are all amazing!! Wow! This is just gorgeous! Love the cascade of flowers.....you do that perfectly! Wow!!!!!!!!!! Wow Erin - this one is such a stunner - work that purple girl!! 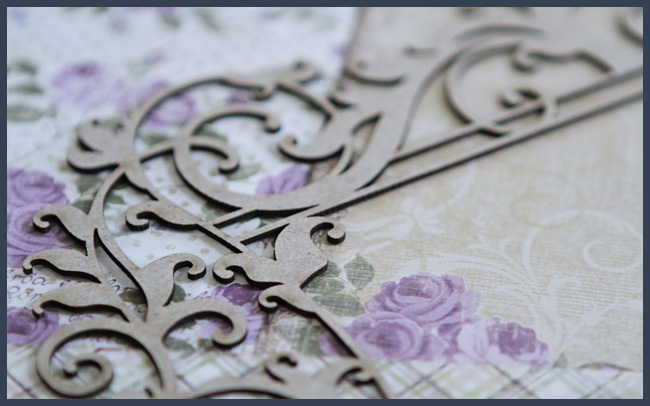 This is such a STUNNING layout Erin... & FULL of GORGEOUS little details!! Erin another amazing layout with so many details to look at, it makes me want to scroll back and forth because I constantly see different detail. Your photos of the page are so very clear, who does your photography for the blog? Потрясающе красивая страница. Шикарные украшения, все очень нравится!!! This is just beautiful Erin!